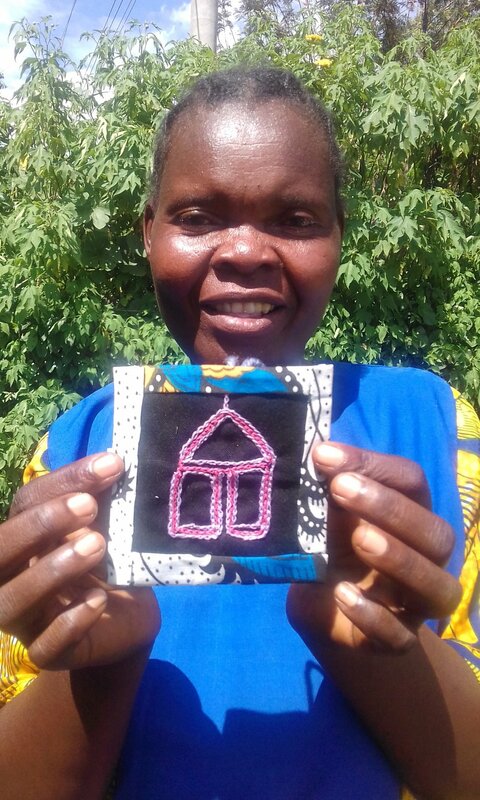 Quilts for Empowerment (QFE) began in October 2015 when founder and quilter, Mary Ann McCammon, went to Kenya with quilting notions, embroidery floss, and lots of high hopes. 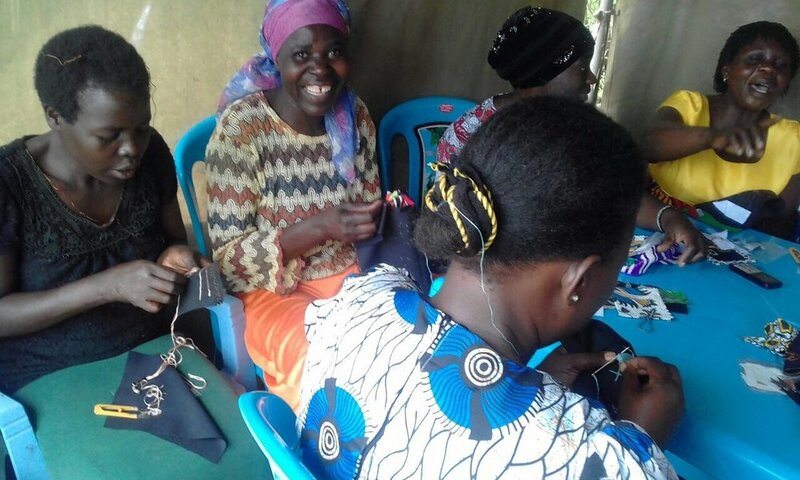 Fistula Foundation facilitated her trip aimed at seeing if teaching fistula survivors to quilt would be a way for them to earn income and become economically and socially empowered. She immediately learned that none of the women had ever done any hand-sewing, drawn, or had any tradition of tribal art. Most had spent their entire lives in remote villages with minimal formal education. Many were married at very early ages and got their fistulas with first births. For others, it was with later births. Their common experience was the shame, stigma and isolation of having an obstetric fistula. Most were abandoned by their husbands and cast out of their family homes. As one woman said “Tears became my daily food”. For many, grinding poverty made finding real food a daily struggle. Over the next two years, Mary Ann taught the women to make a variety of products – all of which included hand stitching with embroidery floss. These included table mat sets, tote bags, and “story quilts” of various sizes that she brought to the US and sold to support the program. In August of 2017, QFE became a nonprofit and became a 501 (c)(3) in September 2017. It also began a new partnership with Women and Development Against Distress in Africa (www.wadadia.org), teaching quilting to women in their fistula support groups. Norah Otondo, a Kenyan fistula survivor, became QFE’s coordinator and teacher. An accomplished quilter herself, Norah has taught 25 women to make our products, starting with learning how to sew basic embroidery stitches as seen in some of our photos. Four months later, the women are creating beautiful examples of folk art, incorporating images from their lived experiences, including: huts, animals, pathways, corn, nature, and people. All of the women, their support group and Wadadia are immediately paid when a quilt is finished. The women can chose how to spend their money and the groups collectively decide how to spend theirs. For example, a woman may decide to use her income to pay for food or school fees while her group may decide to save up to buy a goat or flock of chickens. Wildflower Studio is honored to represent QFE by selling their folk art quilts during the Quilt Show Week.